We’ll be back with new episodes starting next week. 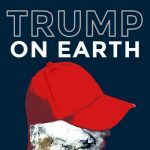 This week’s episode comes to you from our friends at Trump on Earth, a podcast that’s taking a closer look at all the changes coming out of Washington on the environment — from what’s happening at the EPA to how our public lands will fare under the Trump administration. This episode features an interview with sociologist Arlie Russell Hochschild about her book Strangers in their Own Land: Anger and Mourning on the American Right, which chronicles her time with conservatives in Louisiana. Hochschild found people there who had become sick from industrial pollution or lost their homes due to an industrial catastrophe yet were resentful of the federal government. Trump on Earth is produced by The Allegheny Front, a public media outlet based in Pittsburgh. Pennsylvania. All of their episodes can be found at trumponearth.org.